If you are looking for a portable DVD player for kids you need to be careful with your purchase options. Many of the companies you would associate with kids toys offer DVd player options for kids. If however you read customer comments on many of these items you will find that quality is lacking and many individuals are disappointed with the item. Many parents want something to alleviate boredom on long road trips or want something that will entertain the kids at home while parents go about their activities. It’s best to remove the for kids part when looking at portable DVD players and just concentrate on the qualities and features you want. Something small and compact with a long battery life are some of the more popular options parents seem to want. There are two main types when it comes to portable DVD players. These two options include the fold up and tablet model. Each has their advantages and both serve a different purpose. 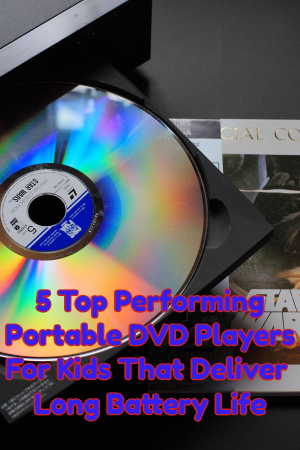 With a little research and the knowledge of how your child will be using the DVD player you should be able to find a quality model that meets all your expectations at a surprisingly affordable price.